Review: Staunton may not be the most technically challenging ride around, but there are some steep climbs, and certainly a few sections that present a challenge. The new chimney Rock trail is pretty rad too. The proximity to Denver is a plus.... For now. 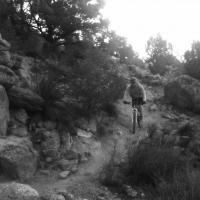 Review: With the exception of Marmot Passage (which is pretty great) I would say this is a pretty uneventful trail for the more advanced rider. Lots of wide trail without much in the way of technical challenges. I do recommend that you make the climb up Lion's Back to take in the view. Overall, If you're in the neighborhood and looking for fun/fast/techy riding I would recommend hitting Buffalo Creek instead. Review: Some of the best downhill for the ease of the climb. The park is new and well kept. Review: The park is scenic and enjoyable for sure. It is heavily trafficked by hikers and bikers so the extra wide trails work well although not my preference. 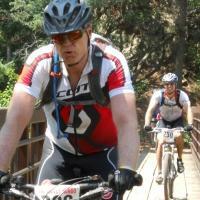 This trail system is perfect for the early season or out of shape MTB'ers. If your looking for a fun ride, then this is it. If your looking to test your speed and skills, you may want to look elsewhere. Review: really great if you love tough rocky extended climbs. I consider myself a fairly decent mt biker, and this was really strenuous for me. The only reason I gave this three stars instead of 2 is that you get some fantastic views from the top. Review: This park is mostly wide, super-groomed trails and a good chunk of service road. There's a total of about 17 miles of trail open to MTBs. You can do it all without repeating yourself much. The full meal deal will have you hitting about 3K verts at altitude, so it's more than just a ride in the park. This is a great exercise/training ride, with some great scenery. 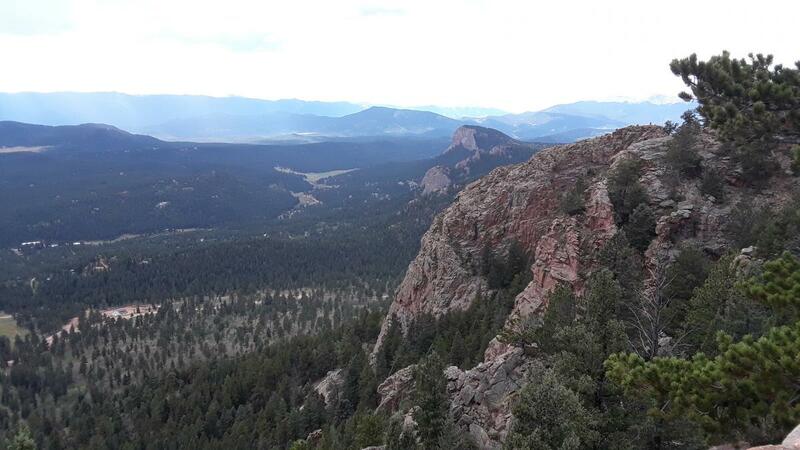 But it's really a lot like doing nearby Buffalo Creek with all the climbing but not all the fun. Park is hugely busy on weekends, I recommend doing the Marmot Passage trail clockwise for a more doable climb followed by hitting the best techy bits in the park on the descent. I also recommend doing the Borderline/Mason Creek Trail combo clockwise. The climb up borderline is quite heinous, but this is the only way to bet the longest fast and flowy downhill in the park. Of course, if you prefer a long, gradual climb with a shorter, steeper descent, reverse this portion. Staunton State Park MTB Trail 3.29 out of 5 based on 8 ratings. 8 user reviews.